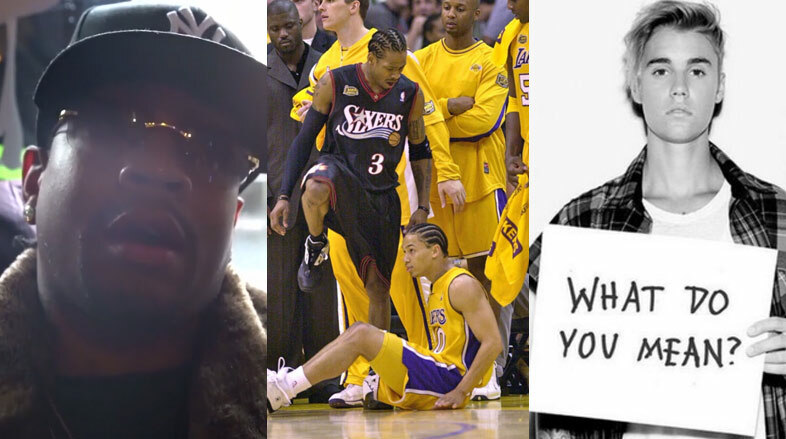 Although he agrees it’s funny, Allen Iverson doesn’t like it when people make fun of his friend Tyronn Lue by making memes out of the infamous walk-over during the 2001 NBA Finals. I’m sure Iverson will also not appreciate people making fun of him for saying “you know what I mean” 5 times during a 27 second explanation! And you thought him saying “practice” 22 times was impressive.